IBS offers three degree programs with specializations in academic Buddhist studies, Buddhist ministry, and Buddhist chaplaincy. IBS certificate programs support focused study on specific traditions and topics including Sōtō Zen, Theravada, and Shin Buddhism, Buddhist chaplaincy and Buddhism and psychology. IBS faculty produce leading edge scholarship and are dedicated to supporting students and their professional goals. Explore the right program for your path of Buddhist education. Certificate programs can be completed within a degree or independently. Learn more about our faculty and research interests and discover how they may support your education. Through educational programs grounded in critical thinking and academic freedom, IBS empowers students to become effective and engaged scholars, teachers, ministers, and chaplains. We fulfill this mission through our degree and certificate programs, providing a graduate education in the entirety of the Buddhist tradition. 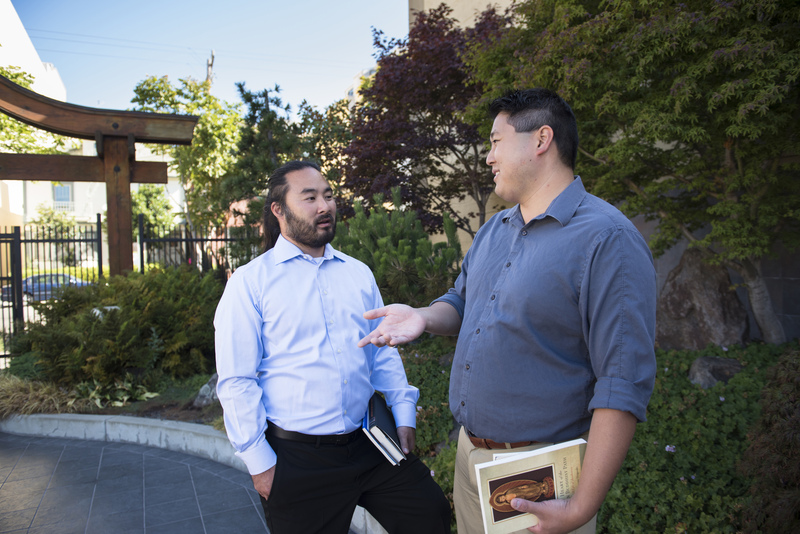 Programs are flexible, allowing students to personalize their education to suit their professional goals in ministry, chaplaincy, or academic Buddhist studies. Explore our programs to see all of what IBS has to offer. Through degree and certificate programs, IBS fulfills its mission to provide graduate education in the entirety of the Buddhist tradition. Explore more here and discover the right path for your continued Buddhist education. IBS offers a number of options for online and distance education students. Click here to learn about our programs and get resources for Buddhist education at a distance. In addition to IBS’s rare book collection, students enjoy library privileges at some of the top academic and research libraries in the country, including the Graduate Theological Union and the University of California, Berkeley. Degree program students have opportunities to study Buddhism in Asia, at either Ryukoku University in Kyoto, Japan, or Dharma Drum Institute of Liberal Arts in Taipei, Taiwan.